U.S. Department of Education, via Title VIB legislation, provides funding to schools to support activities related to U.S. trade and international competitiveness. IBC has been designated as a National Resource Center ("Center for International Business Education and Research") since 1990. With over 2000 chamber members, the Lansing Regional Chamber of Commerce facilitates area economic development through the support of existing business and the attraction of new businesses. IBC works with the Lansing Chamber as a part of the Global Business Club of Mid-Michigan. Lansing Community College (LCC) is a public two-year college located four blocks from the Michigan State Capitol Building. LCC serves almost 40,000 students each year (with students from more than 125 countries in the last four years). IBC collaborates with LCC on the Global Business Club of Mid-Michigan and the IB Institute. The Center for Advanced Study of International Development (CASID) at MSU is a multidisciplinary unit in the College of Social Science organized in cooperation with the Dean of International Studies and Programs. IBC collaborates with CASID on a number of projects including the International Business Institute for Community College Faculty, and others. Foster, Swift, Collins & Smith is a Michigan law firm built upon age-old philosophies that embrace integrity, hard work, camaraderie and community involvement. IBC collaborates with Foster, Swift, Collins & Smith on the Global Business Club of Mid-Michigan. 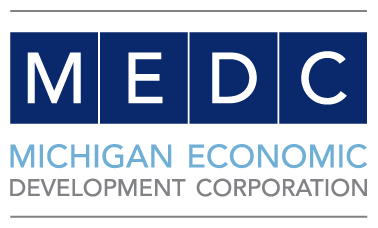 The Michigan Economic Development Corporation is a public-private partnership serving as the state's marketing arm and lead agency for business, talent and jobs. tourism , film and digital incentives , arts and cultural grants, and overall economic growth. IBC partners with MEDC on several projects including increasing the global competence of Michigan's small and medium sized companies that often have resource and knowledge constraints in exporting and international trade. The Eli Broad College of Business is one of the largest business schools in the world with an enrollment of about 6,000 students and an alumni network of more than 60,000 in about 100 countries. The college was endowed by a gift from Eli Broad. IBC receives significant funding and support from the Broad College Dean's Office. The Greater Lansing Business Monthly's content includes feature stories centered around a theme each issue. From banking or engineering and healthcare to hospitality, the articles focus on the quality products and people of the Lansing area. These stories highlight successful businesses in the community and the people who comprise the companies. In addition, local professionals write advice columns on topics such as investing, management, marketing, law, communications, travel and technology. These columnists offer expert advice and information in their respective fields for the readers' benefit. Port Lansing, officially known as Foreign Trade Zone no. 275, is the only official US Port of Entry in Mid-Michigan for foreign goods. A Foreign Trade Zone is a place where foreign goods can clear customs through U.S. Customs and Border Protection. In Port Lansing, international businesses can do this locally and save money on duties, while avoiding congested hubs such as Detroit or Chicago. Located next to Capital Region International Airport and a CSX rail-line, Port Lansing is able to take care of most international shipping needs.